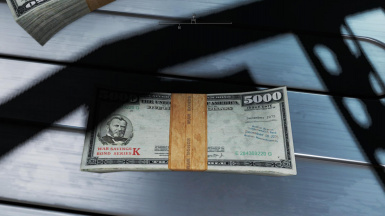 I figure cash, even after the war, would have some value for a while so it wouldn't be left lying around. War bonds on the other hand would be just about worthless without a government backing them up. 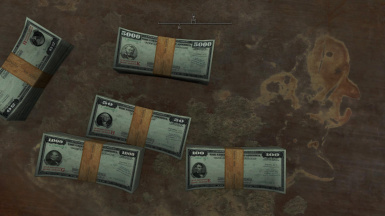 Converts the very low rez pre-war money to high rez war bonds. Using a slightly altered version of the script that DieFem made for me for my cigarette mod, I've been able to have four different denominations in the game at the same time. This is just for visuals. The vanilla stats are still the same though I did add the three new items to the leveled lists. 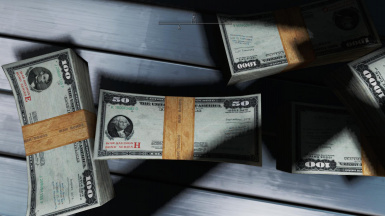 Seeing as pre-war money was just about worthless, (the only places I've found to spend it is in Back Alley Bowling and Nuka-cade, ) I haven't bothered to change the names to the different denominations so if you pick up all four you will have four items listed as Pre-War Bonds. 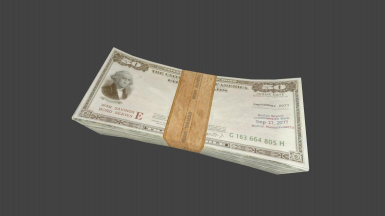 The denominations I currently have made are the $50, $100, $1000, and the $5000 bond. 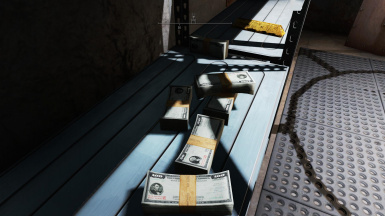 They are all worth the same amount in-game. I may change the $5000 bond into a $500 bond if I can find a good enough image to rip apart.